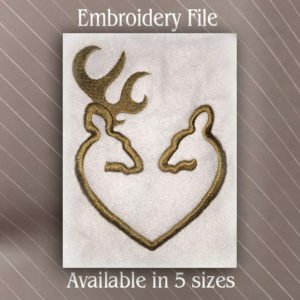 Three Sizes Included with a Single Download, See Below! 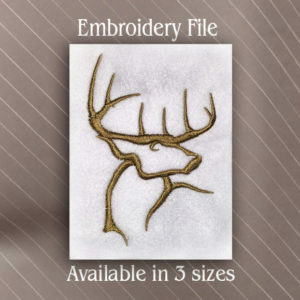 Embroidery design file Buck outline one color, be creative and have fun! All Three Sizes Included with a Single Download! |Width - 1.3"       |Width - 1.6"      |Width - 4"
|Height - 2"        |Height - 3"       |Height -2.6"